$15 Off Build-A-Bear Coupon! 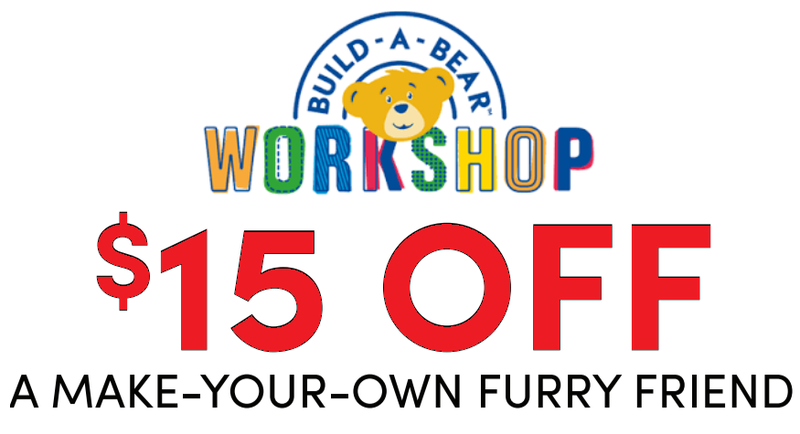 $15 Off A Make Your Own Furry Friend. Valid through 8/31/18. Nice coupon to make up for today's debacle. This coupon is available to EVERYBODY. Just click the link below to get your coupon. They also have A Pay Your Age During Your Birthday Month available on their Birthday Treat Bear. So whenever your child's birthday pops up you can get that offer for the Birthday Bear if you want. CLICK HERE create an account or just log in to get your coupon. Will show up right away after you make your account.